Now here’s some cool news! 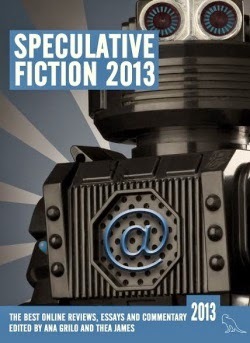 Speculative Fiction 2013: The Year’s Best Online Reviews, Essays and Commentary has released, containing pieces from a plethora of popular bloggers, a bunch of Hugo-nominated authors, and an essay originally published on this here blog. SFR in the speculative house, baby! Never thought I’d see the day when commentary on Science Fiction Romance would be considered worthy of inclusion in such an anthology, but I ain’t complaining. It feels good to be part of the larger speculative fiction community, and kudos to the editors for being open to all branches of speculative fiction-- even to the slutty cousin I so am. 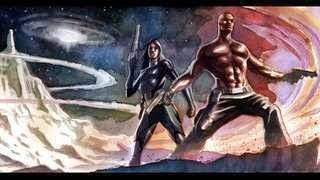 Head on over to Magical Musings to read Sharon Lynn Fisher's post on The Rise of Science Fiction Romance (thanks for the TGE shout out, Ms. Fisher!). 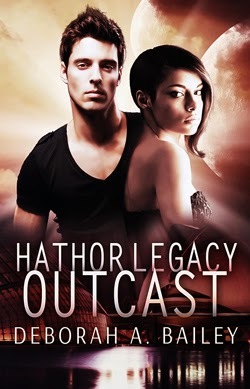 Plus, you can enter for a chance to win a copy of her latest release, THE OPHELIA PROPHECY! 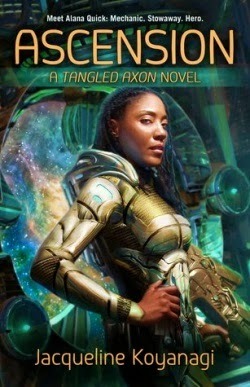 Thanks to a giveaway at SF Signal, I won a copy of Jacqueline Koyanagi's ASCENSION: A Tangled Axon Novel (Masque Books). To which news I was all like, "Wheeee!" ASCENSION is worth reading for its statements about diversity alone. It's a truly diverse futuristic setting. The thematically-rich story features a number of insightful observations about many subjects, yet does so without being dry or too academic. One can enjoy it for the surface plot alone, but there's also a cornucopia of social commentary for post-consumption contemplation. Following are some non-spoiler tags to help you decide if ASCENSION is up your alley! The Sci-Fi Romance Quarterly (of which I’m a staff member) wants to help raise visibility all around by partnering with authors in a link exchange. This endeavor will make it easier for readers to discover books and authors as well as sci-fi romance news and information. 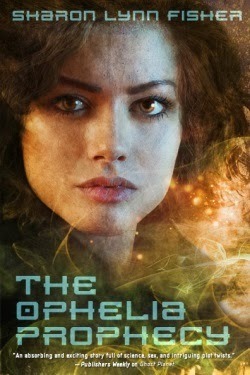 John DeNardo of SF Signal fame kindly invited me over to interview Sharon Lynn Fisher, author of THE OPHELIA PROPHECY (Tor). While munching toasted bagels and sampling drinks from John's legendary K-Cup® collection, Ms. Fisher and I chatted about her new biopunk science fiction romance. And yes, Zorak is in the house! 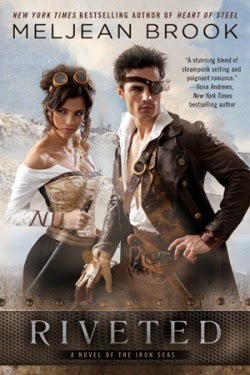 Behold--a very happy month of science fiction romance releases, news, and links!